Sssssssssss. There were a whole load of Ss on show after a long weekend fishing at Neist Point, Skye. 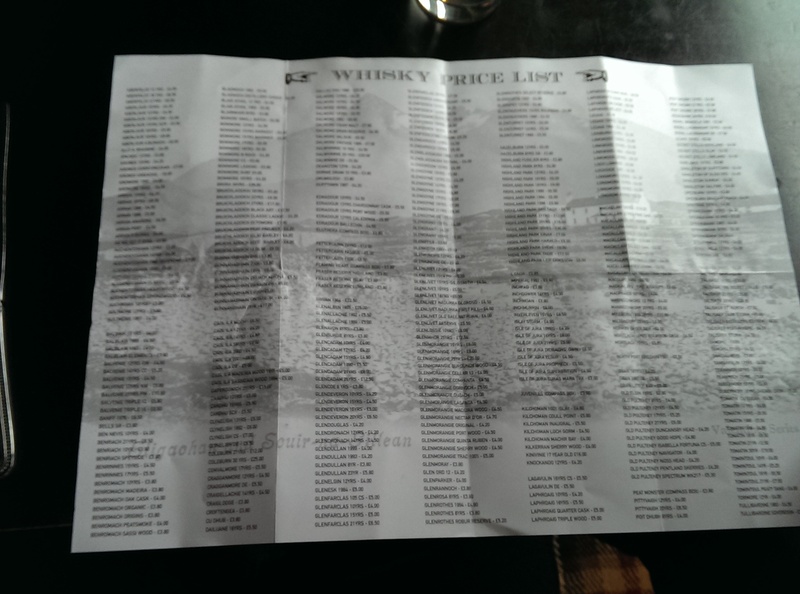 As we headed back to civilisation, we stumbled upon the whisky selection at Seamus’s Bar at the Sligachan Hotel. I’ve driven past it many times, but always presumed it would be a tourist-trap kinda place, but it turned out to have a very decent, and well-priced, whisky selection. Nose: It’s resinous, with wood varnish, bananas, metallic fruit, and a slight cheesey thing going on. Taste+Finish: This tastes so much like Imperial (e.g. this), it’s hard to split them. Not too deep and hard to put your finger on, but very metallic. Super dry sherry, bad socks – it’s astringent, herbal and so dry. “Urgh!”, said one. Comments: One of those metallic sherried whiskies that some like and some hate. If you like Imperial, you’d like this. 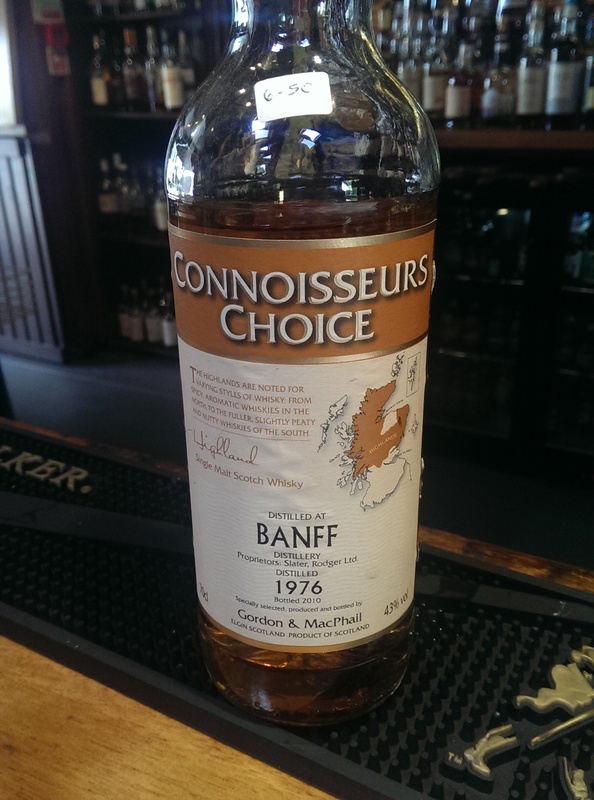 It’s not often you see Banff on the whisky menu..
N: Cupboards and old limes, musty flowers, excellent. T+F: Sweet, flowery and metallic again. A bit acrid, with raw seafood and scallops. Nothing much towards the end. C: This was a little metallic (and became its downfall), and was quite hard to place. It wasn’t particularly off-putting but neither was there much to write home about. 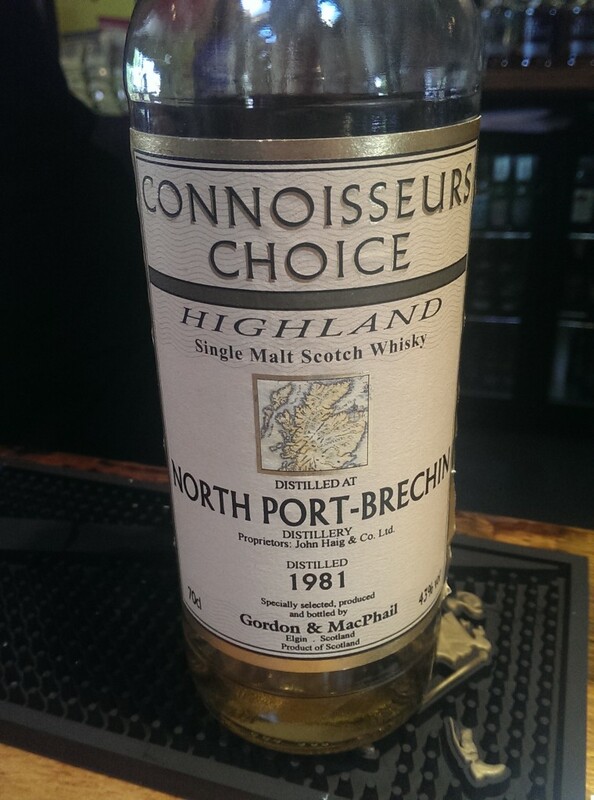 Another very well-priced silent still..
N: Sherried nose, fruity and pretty spirity – perhaps candied fruits? Big! T+F: Spritied, big alcohol. Tiny bit of battery acid pervading? Odd, off almonds. A spicy hit then a massive herbal injection – a “tongue war” with a hot, herbal finish. C: This was very hard to classify – it was a massive strength for its age, and it was quite hard to approach. It wasn’t refined, but it was definitely interesting. This would punch most other 21yo out of the park, and that quality was quite enjoyable. 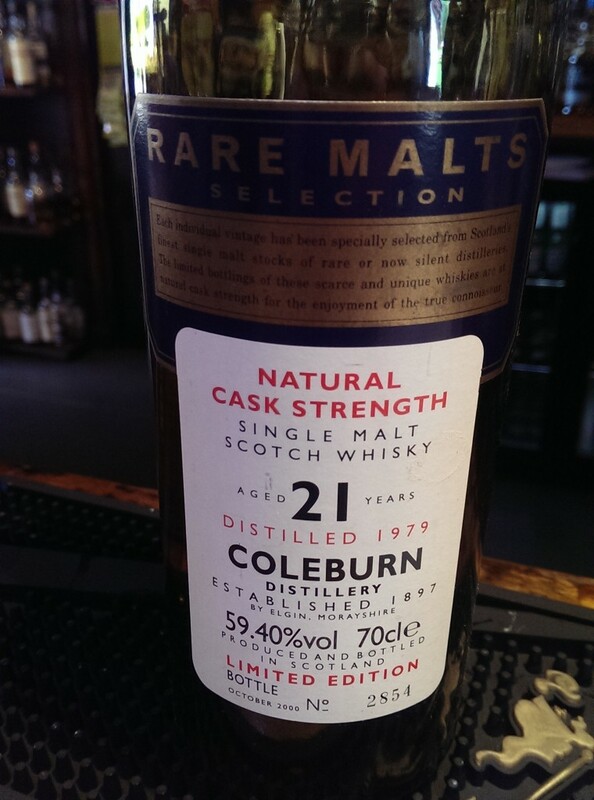 It was hot and herby, but needed a bit more depth for me.. an interesting dram. But right at the last, I tried some with a bit of chocolate in my mouth and it became much sweeter and mintier – and really rather nice. The priciest one, it came out a locked cupboard..
Not the best photo, but you get the idea.. This entry was tagged banff, coleburn, north port, silent stills, skye, sligachan, whisky. Bookmark the permalink.